Amazing property, but has few glitches.submitted by Tejaswi T. - Apr 21, 2019 |Recommended: YesThe property is amazing in terms of maintenance and staff. I have been offered amazing help and advise from staff. But as a second shift worker, I have hard time finding parking spot in the night. Recently my car was towed because I parked it on the white line and I was unable to get hold of bradford staff because they do not open until 9. Some tenants have more than two cars that remains parked in the parking lot and not move ofr days. response from property - Apr 24, 2019 Thank you for taking the time to share your experiences at The Bradford. I am delighted to hear that you have been pleased with the level of care you have received. The parking policy is intended to ensure that there are plenty of spots for our residents to park in, and are working to ensure that everyone is aware. If you are aware of any issues in particular, please feel free to speak with us in the office so we can address your concerns. Thank you for your residency! Too expensivesubmitted by Luciano S. - Feb 20, 2019 |Recommended: NoToo expensive for what it offers, not easy to do anything. response from property - Mar 09, 2019 Thank you for taking the time to review us. I do appreciate the 3 starts, but I am sorry to hear that you feel it is too expensive to live here and have not recommended us. We would love to speak with you about this, and will do everything we can to assist you. Pretty nice place to livesubmitted by Darnell B. - Feb 04, 2019 |Recommended: YesIt comes with some problems like all places but overall it's a good area quiet and comfortable very large apartments and the staff doesn't really bother you at all very friendly . response from property - Mar 09, 2019 Thanks so much for taking the time to give us 4 Stars! I am so happy to hear that you would refer us to a friend. Remember, we offer a generous referral bonus- ask us for more details! I am also happy to hear that you find your home to be comfortable. We look forward to your continued residency! Well-maintained, friendly and safe atmosphere.submitted by Lacey M. - Aug 08, 2018 |Recommended: YesVery safe and enjoyable to live here. The management is extremely friendly, professional, and timely. The units are in great condition, as are the grounds. Work in progresssubmitted by Joshua V. - Aug 06, 2018 |Recommended: YesWe moved into a newly renovated apartment in June 2018. When we moved in we attempted to connect to the cable. Upon connection we found that all of our cable wires in the entire apartment were cut in half and completely unusable. We went over three weeks without cable access or internet because the complex could not work out with their cable contract providers when they would be able to come and rewire the house. I personally had to call my own electric company to come rewire our house ourselves. We also had to pay 75.00 for pool passes. Out of the 5 times I attempted to go to the pool, one time the pool was actually open. The one time we did enter the pool area, they didn't even check to see our passes. Why did I pay 75.00 to enter a pool I could've just walked into for free Not even just that, why was the pool closed after 1pm on a sunny day at 98 degrees Our neighbors smoke pot constantly in their apartment. Our vents are connected to their apartment and we can smell pot pretty much every single day. I have two kids and I would really appreciate it to not be able to smell the aroma inside my own apartment. I would love for someone from the complex to call my phone and let me know that they actually read this. I would not recommend this apartment complex to anyone at this point. Great starter apartmentssubmitted by Jillian S. - Jan 03, 2018 |Recommended: YesManagement is great, we've been here since April and are very happy with the apartment and staff here. We're happy we picked here as our first home. Not likely to recommendsubmitted by Jacob R. - Sep 13, 2017 |Recommended: NoManagement is understaffed and have to call multiple times for someone to answer the phone. Putting in maintenance requests can take weeks for a problem to be resolved. We still have one open from 3 months ago just to put a deadbolt on our door. The painting contractor they hire is not reliable and their workmanship is lackluster plus they are leaving debris in the hallway during the remodeling after the end of the day. It took almost 3 weeks to get our air conditioning fixed during the peak summer season forcing us to find other accommodations during this time period. Not to badsubmitted by Vaughn P. - Aug 21, 2017 |Recommended: YesIts a pretty decent place to live. Great place to live submitted by Amy H. - Aug 18, 2017 |Recommended: YesThe apartment is a great fit for us. Its a good size and we enjoy the updates made to the property. We've only run into minor problems but the maintenance team is very helpful. response from property - Jul 17, 2017 Thank you for your positive review and 4 star rating, Juan!  We are happy to hear that you are pleased to be a resident at The Bradford! The Bradfordsubmitted by Toni S. - Jul 15, 2017 |Recommended: YesIts a nice place to live other than the disrespectful chidren that throw trash everywhere. response from property - Jul 17, 2017 Thank you for your positive review! We are happy to hear that you are pleased to be a resident of The Bradford. The team and I are working on the concerns for trash. Please continue to express your concerns to us! We love our home at The Bradfordsubmitted by Susan S. - Jul 14, 2017 |Recommended: YesStaff is very courteous .. Amanda is the best Property Manager at The Bradford Chelsea Village ever had... Carlos is a great asset to Maintenance and can always be counted to fix the problem not just put a band-aide on the problem..
response from property - Jul 17, 2017 Thank you so much for your positive review! We are happy to hear how pleased you are to call The Bradford your home!